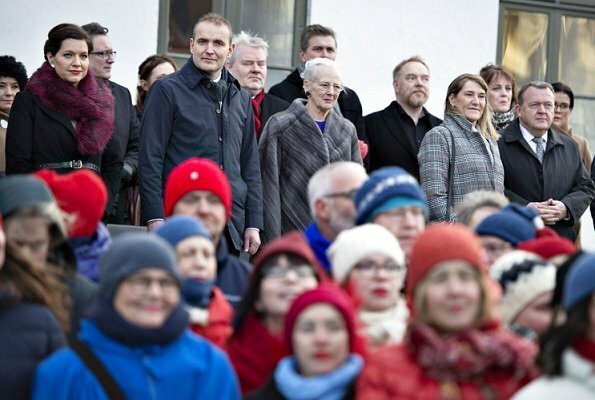 Iceland celebrates 100th anniversary of its independence. 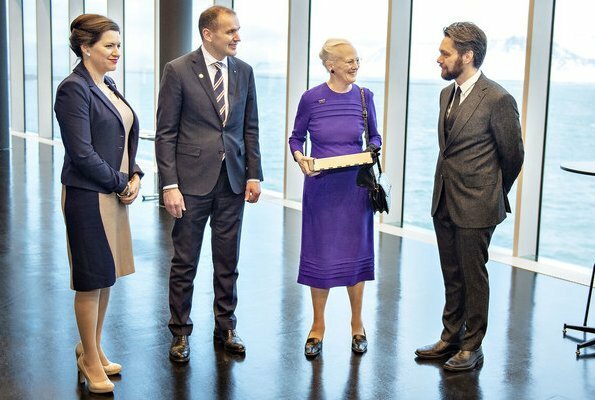 On the occasion of the celebrations, Danish Queen Margrethe II visited Iceland on December 1, 2018. 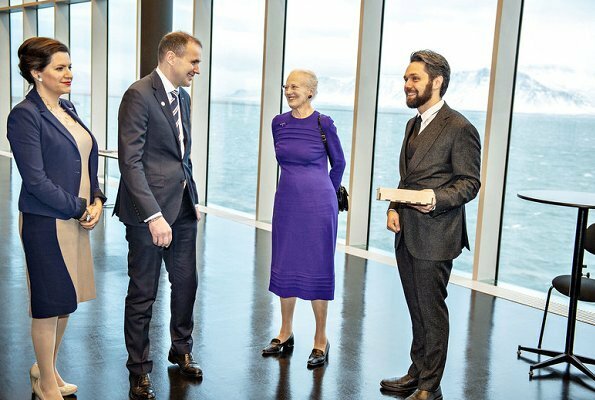 The Queen firstly visited the Harpa Concert Hall and Conference Centre and was received by Iceland’s President Gudni Thorlacius Johannesson and First Lady Eliza Jean Reid. 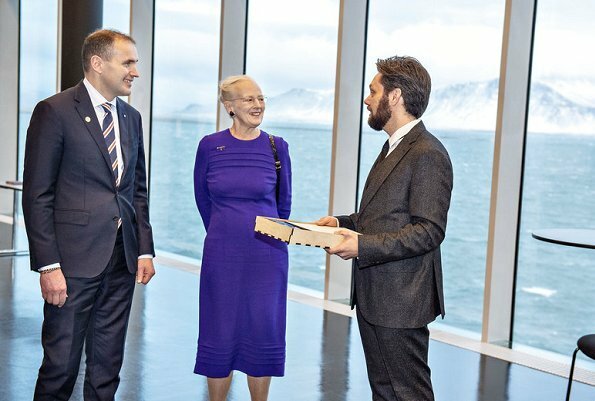 The Queen attended a luncheon at Harpa. 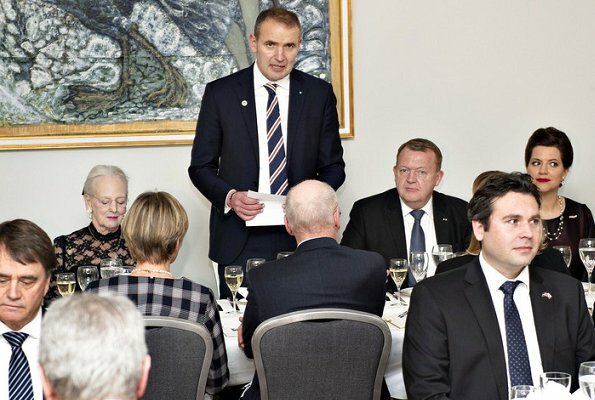 Iceland’s President and Danish Prime Minister Lars Løkke Rasmussen also attended the luncheon. 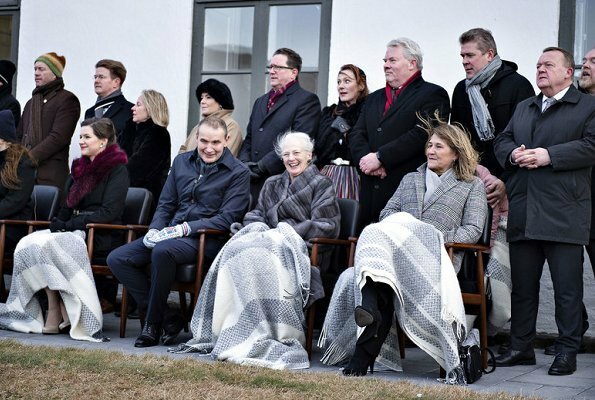 Afterwards, The Queen attended the Icelandic government’s ceremony in front of the government building at Lækjargata. 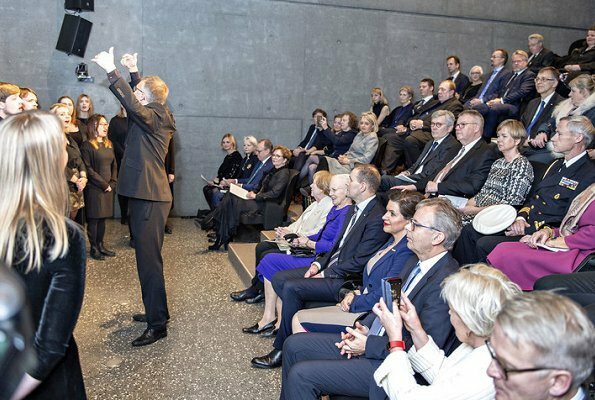 Iceland’s President, Danish Prime Minister Lars Løkke Rasmussen, Icelandic Prime Minister Katrín Jakobsdóttir and the Icelandic government also attended the ceremony. 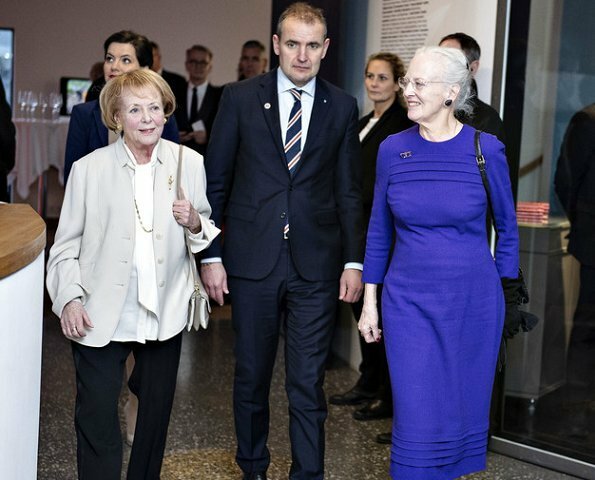 The Queen visited Iceland’s national gallery, Listasafn Íslands, and was shown the exhibition “Blossoming”. The exhibition tells about the creation and development of Iceland as an independent nation. 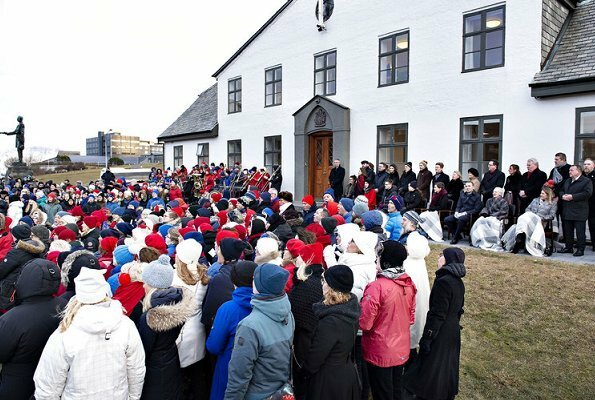 The Queen visited the Vigdís Finnbogadóttir Institute of Foreign Languages, which is a research center at the University of Iceland. 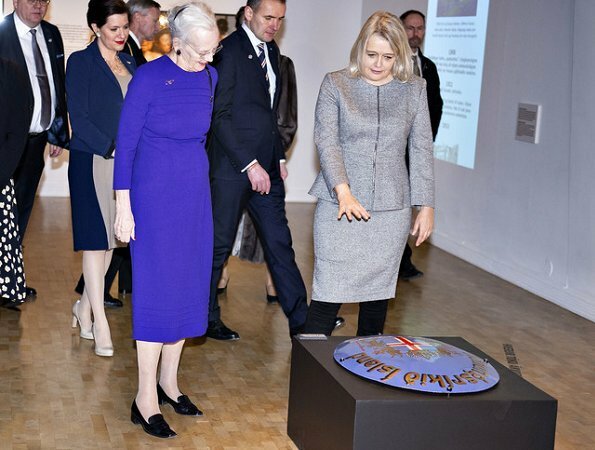 Afterwards, The Queen received a briefing about the teaching and the research at institute’s language center and opened a new exhibition including works of art created by the Danish artist Karin Birgitte Lund. 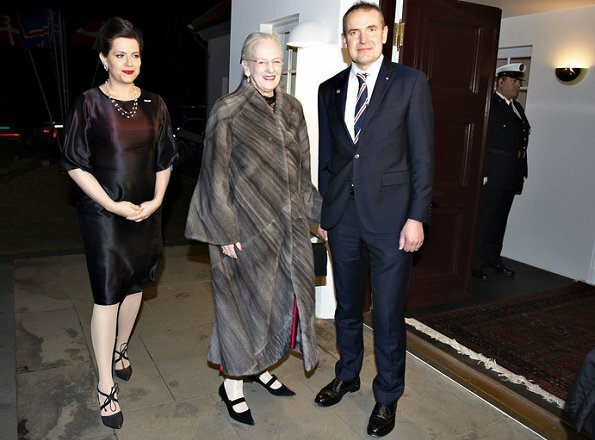 Then, The Queen attended a dinner hosted by Iceland’s President at Bessastaðir, the President’s residence. 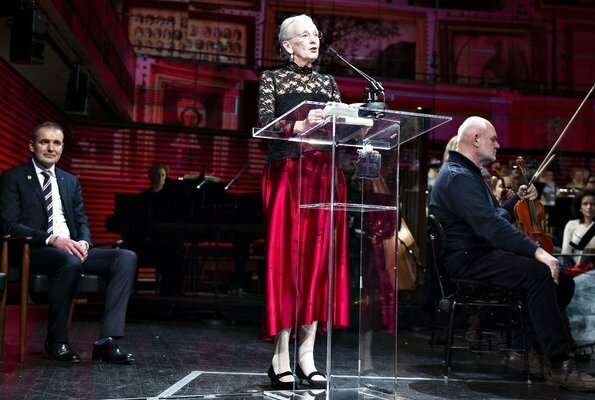 Afterwards, The Queen attended a gala performance in the concert and opera house Harpa and gave a speech there. Eccentric clothes ? Yes. Made of the best quality ? Yes. Perfectly suited to the queen ? Yes. Is she an absolute joy to watch ? Yes yes yes. Congratulations to Iceland. It sure looks cold when people have blankets over their laps. Has anyone ever asked nicely whether the fur coats are warmer and whether they last longer than other coats? IMO that far north a fur coat that already exists is justifiable. The Queen looks good, lovely coat and nice outfits. Is that a snow covered mountain or a glacier that is visible through the windows of the concert hall? Chris, you took the words right out of my mouth. Ha! And yes, it is snow in cold but fairy-like Iceland. I like how she is doing her public performances,very upright and with a smile. And it has not been a'n easy year for the Queen, surely. It is a mountain by the name of Esja. Chris, you are right. Nothing keeps you as warm as a fur coat does and yes, it is longlasting. I have absolutely no problems with fur coats and leather shoes/handbags, as long as they are not made of threatened species. I also have no problem with wearing silk and wool. Many other coats keeps you at least as warm. And with the royals setting an example for the young generation, the fact that they continue to wear them, even if existing in their wardrobe, gives others the idea that it’s alright to continue to kill animals for the pleasure of people with too much money (consider spending half of that amount on a great warm coat and giving the other half to charities, maybe those that protect wild life from greedy, unscrupulous and consciousless people). Remember that part of the value of royalty is setting an example of values. 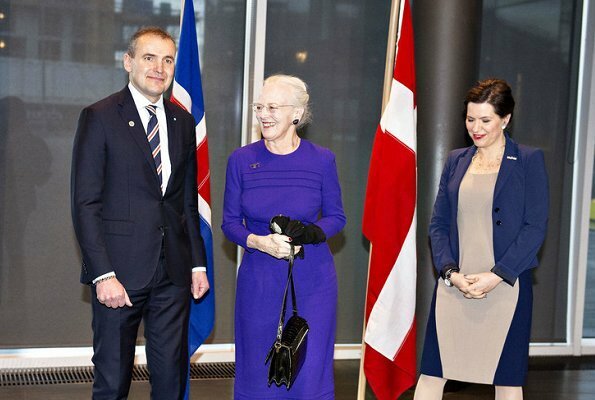 One Century of Independence.Congrats to Iceland.Love Q Margarets blue dress. It really is a pleasure to watch her. Felicitaciones Islania❤👏; me encanta esta gran REINA:tiene su personalidad y la ejerce y es muy feliz FELICITACIONES MAJESTAD! ! A very nice suitable blue dress. 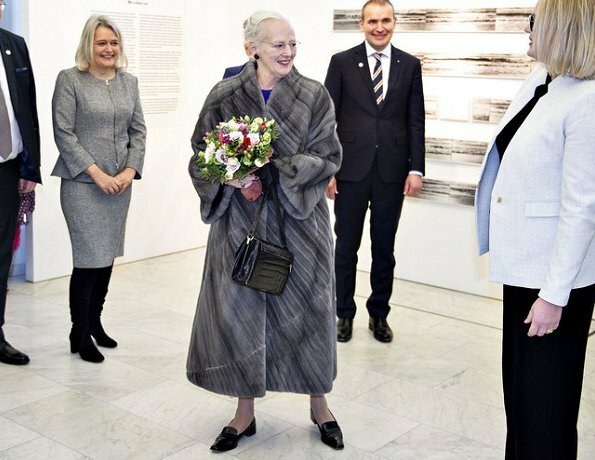 I Wonder, how many fur coates Queen Margrethe really have … 8,9 or more ? I think, she gets them as gifts for special occasions like anniversaries and birthdays. en dat vind ik erg leuk ,maakt vrolijk!!!! Volgens mij is ze al heel wat jaren koningin. I really like the blue/ purple dress on her. The colour suits her. And I have a lot of respect for so many engagements she is doing at her age, on her own. 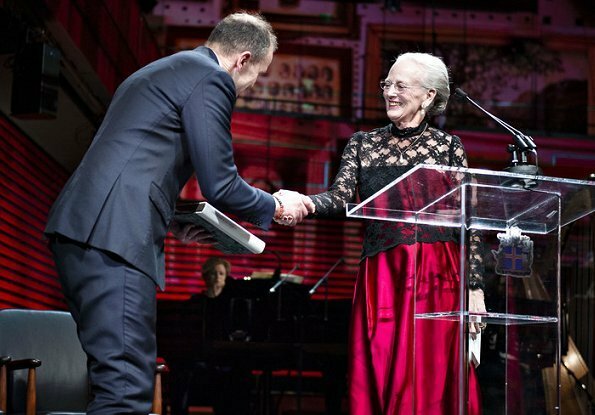 You go, queen Margrethe!